We met on OkCupid in February 2016 when Rachel sent me a message first. We quickly knew we were meant for each other as we were engaged 4 months later in June 2016. We were going to get married in the KC area, but decided that a destination wedding was better for us. We decided to go to Ocho Rios Jamaica for our wedding moon in May 2017. We are currently expecting our first child in December 2018. 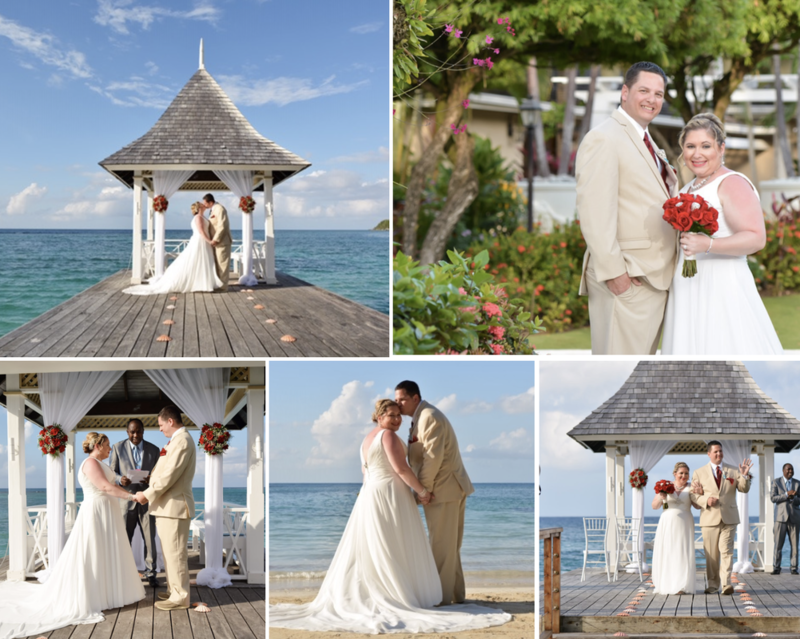 ​​​Go to a destination wedding if you are able to.. it was very relaxing and we loved every minute of being in Jamaica.